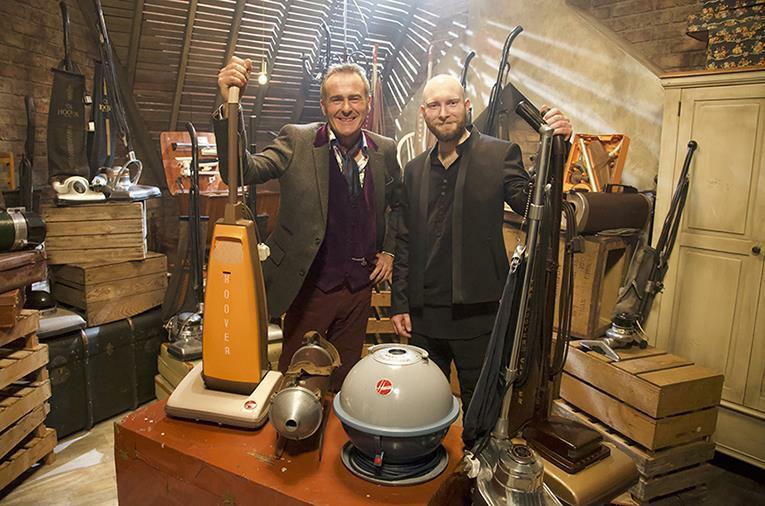 Collector of vaccum cleaners Jack Copp is making a guest appearance in a new vintage-themed show, Curiosity hosted by tv antiques expert Paul Martin. Jack, 32, who lives in Malmesbury and is an engineer by trade. He will be appearing in episode 12 of Curiosity (April 16) on BBC 1 at 2.15pm, which is produced by independent company Hungry Gap Productions. Curiosity is a competitive format which puts contestants’ knowledge of antiques and collectables to the test. In each episode two teams of two will move from room to room, using their skills, expertise and intuition to take on different tasks and challenges – all against the clock. Each episode also features a competitive task set by a real-life collector in this case Jack. “I set the challenge of putting vacuum cleaners from the 1920s, 30s, 40s, 50s and 60s in chronological order, using clues like the design and styling to work out their ages,” Jack said.